I’ve been thinking a lot lately about aromatherapy certification. In our last Skeptic’s Guide to Essential Oils post, we evaluated some of the current leading authorities in essential oils, namely the so-called “experts” and the essential oils MLM companies. Today we’re taking a closer look at the truth about aromatherapy certification. As I pointed out last time, every blog post and article seems to advise the reader to consult a certified aromatherapist, especially when speaking to essential oils safety. Why do they do that? Is it because these certified aromatherapists have an advanced education that qualifies them to guide the average consumer through the jungle of essential oils information? Is it necessary to have aromatherapy certification? I decided to follow the advice of all those articles and find some local aromatherapists. My main question for those with aromatherapy certification was this: what makes you an expert in this field? Once they answered that, I’d ask questions about safety, ingestion, etc. I looked online, made inquiries through natural practitioners, asked my friends, and pursued several other avenues including education organizations. I was searching for certified aromatherapists who were not associated with MLMs or any other company in particular so that I could get an objective perspective, ideally someone locally. I never really found what I was looking for. Several friendly aromatherapists came forward to chat with me about essential oils, but I did not find any kind of advanced training or new information in what they were telling me. After further digging, I found that people can get aromatherapy certification through different organizations. Often they do this as an add on to their positions as masseuse, naturopath, etc. They may also get their training through essential oils companies for purposes of personal use or, presumably, to help them sell product. There are some folks, however, who have a passion for natural living and want to grow in this area, as well as be a help and service to others. People can earn aromatherapy certification in brick and mortar schools such as the American College of Healthcare Sciences in Oregon, or organizations where you can do online training such as The Aromahead Institute School of Essential Oils Studies. There are others, but those two seem to be popular and reputable. An organization considered by many to be the top dog is the National Association for Holistic Aromatherapy (NAHA). Aromatherapists can apply to become a member of the NAHA if they pass their qualifications. Academic institutions can apply to be “approved” by the NAHA as well. Often times people will see someone’s certification or reference to the NAHA and take that as a guarantee that their experience is vast and their recommendation is gold. As valuable as training can be, I would caution you to do your research anyway before following a recommendation. I found several articles (like this one from the University of Minnesota) stressing that entry-level training does not surpass extensive, hands-on experience. Learning and becoming educated in essential oils is a good thing, but I would suggest finding out what training a self-proclaimed certified aromatherapist actually received. I’m finding that some people claim or imply expert status when it’s not warranted, and I find that dangerous. I think that it’s also important to note that there is no equivalent of a formally educated health professional in the essential oils industry. There is nothing similar to a doctor or medical professional in terms of hours or extent of training. That seems to be a possible misconception by consumers and not necessarily a view promoted by certified aromatherapists. I’m sure that if such a program did exists, many would enroll. Bottom line: would you rather take advice and direction from someone whose sole claim to authority is a 200-ish hour certification program taken online (roughly half the hours required for associates degrees in other fields)? Or would you rather be guided by common sense and the advice of those with extensive experience? I used to say I’d pick the latter. Nowadays, I’d say both are important. Someone relatively new in essential oils (1-3 years) would gain much by enrolling in an aromatherapy class, especially if they were planning on giving any kind of advice or recommendations to others. That’s why I’m taking one. But as with many such things, ongoing education and careful handling of essential oils is important as well. Finding a certified aromatherapists with years of experience and a passion for growing in knowledge is ideal! How do You Find Someone with Extensive Experience? If you dig around in the essential oils world long enough and intentionally push away the “fluff,” you’ll eventually come across those that have the training and experience you’re looking for. After a few years, I now know several reliable aromatherapists. But it did take a while and some persistent looking. One suggestion is to ask around and see if those you know in the essential oils field can recommend a certified aromatherapist. Many organizations like those listed above have have alumni lists and some of those can be contacted via email. I do wish it was easier to find an aromatherapist, but most of the sites and databases I’ve found seem to be a little sparse or outdated. Let me know if you find something that is better for this task! 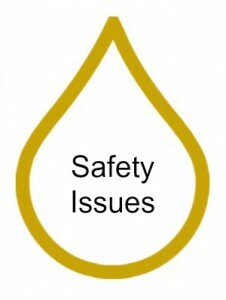 One of the biggest questions we have when it comes to essential oils is safety, right? Which oils, how much, what dilution rates, etc. Well, as you can imagine I’ve been digging deeper into that as well and have come to what I believe is a reasonably educated stance on the issue. That’s what you can expect for the next post of the Skeptic’s Guide to Essential Oils. I too have done much research on essential oils and have found that Rocky Mountain Oils and Native American Nutritional is the place where I trust and will continue to purchase my essential oils. Thank you for your article. I discovered the same thing when I was researching aromatherapy education. The 200 hour is a minimum requirement. What timing that you posted this, because I posted a similar article about a week ago. I’ve also seen the self-righteous judgments coming from some aromatherapists (esp the newly certified). A lot of times I see an insane amount of insults toward essential oil enthusiasts and companies. When I see behavior like that I’m instantly turned off and would never trust that kind of person with my aromatic and spiritual wellness. I do think there is a lot of valuable information in an aromatherapy school, but finding the one that resonates with you can be tricky. I finally found one that meets my personal criteria on selecting an aromatherapy school and in the first class alone, I was impressed. Not that others couldn’t learn the same things on their own, but some aromatherapist instructors have written very good curriculum, have a balanced view on the industry, and don’t jump on board with hype and fear mongering. Thanks Lisa! I appreciate this perspective. Thanks for taking the time! Lisa, I too am searching for a really good aromatherapy education. Would you share with me what school you found? Great comment – I would love to read your blog article. Which school of Aromatherapy did you pick in the end? I am looking myself for one that is progressive and not out to knock MLM companies. I just want to learn without all the other nonsense that so many aromatherapists go on with. What school did you go with? I am seeking an online options. Lisa, I would live to know what school you chose. Very interesting article. I would like to make a few comments but I hope you don’t think I am trying to push myself forward too much. I felt I had to write an aromatherapy training course. First of all because I could not find one that did not include New Age and Eastern religious philosophies. There are no books about essential oils that are not brand name related or do not contain New Age teachings, so I wrote one. Also because what the NAHA recommends is highly misleading. 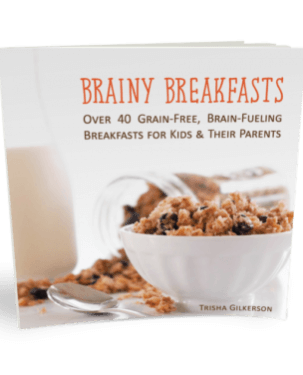 Their recommendations are for people that want to treat, cure, or heal people. In the USA you have to be a licensed professional to treat, cure or attempt to heal, you even have to be licensed to simply rub oil or lotion onto another person for money. People that want to be an aromatherapist so they can help sick people have to be careful that they are not practicing medicine without a license. NAHA has you studying anatomy extensively and doing case studies on sick people and how you would treat them. That right there is simply a “go to jail” card. As far as being an expert, I ‘m not, but I have read a lot of books and my course is a guide to studying the books that I recommend…plus my 2 cents, and a lot of fun activities. I also have read many books, starting 20 years ago when essential oils were supposedly just for hippies. There are MANY that do NOT promote New Age or “Eastern religious philosophies” . I jumped over to your site and to see it has seriously alarmed me! You say your not bigoted, yet your way is the only way because Jesus is the only way. That to me is bigoted. Here you say your not an expert, but yet you do call yourself a certified aromatherapist on your site, a lovely way to have the unknowing public believe you as an expert. AND then charge them $575.00 or more for your Christian studies? PLUS other books that you probably get a fee from. To pass the course, the requirements include reading 7 books from experts. I guess there are seven Christian books out there then? Plus what brand of oils do you include? 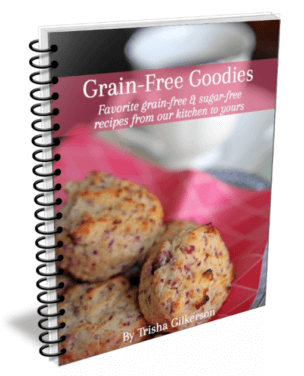 Can you say they are pure?You keep saying these studies will help you start a homebased business. 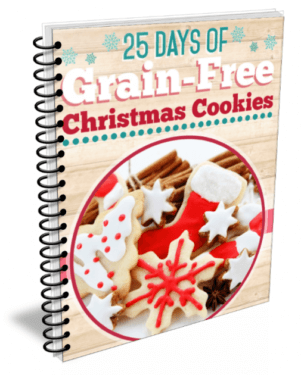 I think as a Christian you are duping other Christians into paying to YOUR homebased business. Indeed. There are plenty of aromatherapy books that are grounded in science, with no reference to religion. Then please by all means do NOT read any of the books with a Christian philosophy. That is the beauty of America….we have choices and can pick the things we want and do not want. Oils were used EXTENSIVELY in the bible…that is what was used by the people of the day to treat everything from leprosy to embalming at death, so Christians also have a big stake in the aromatherapy/oil revolution. Again….we are all free to choose how and what we want to study, so it is completely un-necessary for you to attack Naomi and her ideals. Patty, just skip over it and go on. Take it or leave it but don’t create dissension. NOT COOL. I would like to comment on your claim that there are no books available that do not promote a certain brand of essential oils or new age thought. There are multiple books availble on Aromatherapy & essential oils that do not promote any name brand oils or new age thinking. As an experienced Certified Aromatherapist, I do not promote any brand of essential oils but am very particular in what brands I use since not all oils are created equal as therapuetic quality oils. My expertise is in mixing special therapeutic blends for each individual and their needs. Professionals, like myself, understand how to use wording like healing and cures or treatments to stay within the guidelines. I would love to get in touch with you, if you would be willing to share information with me on your training and how you got started. I am a newbie to aromatherapy and my goal is what you do, to mix special therapeutic blends for individuals according to their needs. I have a lot of studying and reading to do, and want to become educated on this as much as I can as well as speaking to those who are experienced in aromatherapy. Would you be willing to email? I stumbled across this site in a search, I don’t know if there is a different way to connect by private message. I will check back for a reply. I would really appreciate your consideration. do you have a web address? I would love to talk to you. I am also a Christian and would like to pursue quality training without the New Age hype. One of the reasons to study chemistry and anatomy is so you don’t do any harm. If you only want to spray it into the air, then there really is nothing to it. I don’t sell any oils or products right now. I just give advice. And I am very passionate after 26 uses of having a Skincare practice when no one even knew what Essential oils were. That is thousands of clients from San Franciso to Laguna Beach, where I had my own small blends on shelves in the boutiques. Go for “Robert Tisserand’ his analysis is mostly based on the effect Energy vs Somatic. So there are many things to know. But again, let’s say you make a blend that is perfect for the condition and you’ve seen it help.. and most people love the smell .. WHY? practitioner you are practicing on people with health problems, so. you want to know what you’re adding can help..
Then the Christians used essential oils for 2000 years. Oils are much more complex than a one dimensional manufactured pill.. because it heals does not just stop the pain or degeneration. , SO, Planets, are the thing that some doctors are turning to for prevention. But what is it’s just heartburn and you have to sit up in bed so it doesn’t come up. “I just recently went to a class were 80% of the class were RN’s Registered Nurses, and they receive continuing education for their nursing license, so sounds to me like it’s going to be a requirement soon. And you need Insurance. In England, you need to be an RN and in France an MD. That was 4 years ago, for a 4-day class. Based on having a hands-on experience for 26 years. I am curious to know whether you checked with any universities like Bastyr in your research? Sorry for the delay in answering. I just saw this comment. 🙂 Yes, I did look at some different universities. I didn’t go into much detail on them because, frankly, I felt like they were a dead end as far as the information I was looking for. I started with schools here in the NW hoping to connect with a real-life alumni who could help me find some answers. From what I have seen at those organizations as well as from what I can tell on the Bastyr site, aromatherapy is not typically a primary study there. It may be be the focus of a few add-on classes or perhaps part of a continuing education or certification course, but my impression is that it’s basically the same information that you might find elsewhere. Also, since many of the schools want to get affiliated with the NAHA, they follow their guidelines for usage. I wouldn’t say that I think these programs are useless – far from it. However, my impression remains that they do not create “professional” aromatherapists as far as the level of knowledge I would expect. I am personally more inclined to trust someone who has extensive experience, with or without that training. I live in the PNW. I have been seeking schools to help me fill the gap in my knowledge of essential oils and how to use. Also, to find out why Aromatherapists get so bent out of shape with essential oil users. I get, they are trying to grow a credible business. One that is taken seriously and not seen as that hippy woohoo fad thing. It took massage time to be taken as a serious form of health support. The schools that say they offer degrees….uhm…yeah…marketing. One school here in my home town, I won’t touch. I don’t recommend and I CRINGE when I hear of people taking their courses. The other school noted, Bastyr. I recently chatted with a couple people who attended that school. They were not impressed. And one person was looking to relocate to go to a local private college due to feeling she didn’t get what she should have from their program. (private college that has programs in Naturopathic, Oriental Medicine, Holistic Health, and Nutrition). It took me a couple years to settle on a program to study Aromatherapy. I chose the school I received my Level 1 AC, from research, conversations, and looking into what was taught. I want my certification because I hope to bridge a gap or calm the waters between Aromatherapists and Essential oil users. And being transparent here…YES I am a product consultant with an essential oil company. And honestly, even if i wasn’t, I would still use their oils. 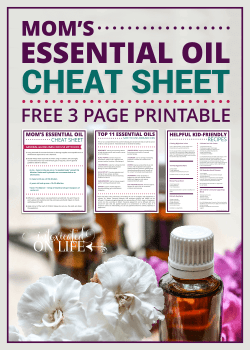 There is a lot of information out there on essential oils. You can get up to your eye balls in overwhelming, confusing, contradictory information. And some reference materials are now outdated due to the clinical research that is happening now. Offering, if you really want to learn about essential oils, the industry of essential oils (from plants to essential oil retail), how they work, how to use, then write down what you want to learn. What is your interest, and at what level. If you did get a certification, what does that mean for you? What do you want to do with it? Then, find people that offer what you are looking for. Ask them about their knowledge journey and if they can offer help with yours. To attempt to answer your question, why Aromatherapist have problems with Essential oil users, and I assume you mean people from the MLM companies who are distributors/consultants, is because of some of the claims and recommendations that a lot of consultants make about the oils. I’m no expert, I’ve only been certified through the Canadian Federation of Aromatherapists for about 1.5 years. And even I know that I have lots to learn about the oils yet. But I think that the ‘riff’, if it can be called that, comes from a lot of people representing those companies suggesting that people use essential oils undiluted or internally, the more the better. Both of which can be hazardous. With training one can come to appreciate the respect that concentrated essential oils deserve and that they don’t need to be used in high concentrations to be effective. I don’t think the problem is so much that people are using the essential oils, as much as they tend to get potentially harmful and misinformation which then gets perpetuated. Yes essential oils are Generally Regarded as Safe, under certain conditions. I started my journey into essential oils as a distributor from one company and I believe that most of the people I talked to recommended using them internally, and undiluted. After I started taking my aromatherapy course, I started to understand the dangers present in that thinking. Not to mention that there are oils that will cause seizures in people with epilepsy, or that wintergreen shouldn’t be used on people who take blood thinners, this information was never presented as a distributor. That being said there are for sure consultants that do their homework and research and find out that you shouldn’t use them flippantly and haphazardly. But they seem to be the exception. I know in Canada, because of some of the claims and recommendations from consultants of MLM companies who don’t truly understand essential oils and their possible dangers, Health Canada is looking at having to step in with more regulations, that will restrict the certified professionals who are using the oils appropriately and with the respect they deserve. And I think that’s where Aromatherapist get frustrated with the hazardous and misinformation that is being perpetuated. I hope that I am not inflaming this already gnarled relationship between the two parties. And it is certainly my hope that it can be bridged. I’m not sure how that will happen. 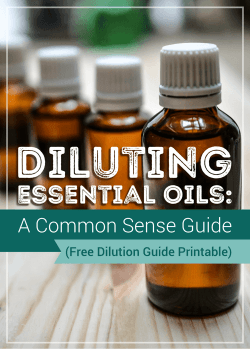 I know where I’m living, I’ve recently had the opportunity to share with some friends some of the benefits that essential oils have to offer, and how to use them appropriately, and not with a sales pitch. I hope to be able to share what knowledge I do have with any who will listen. What school do you suggest? I have no idea if I will ever get an answer seeing these comments were years ago, but worth a shot. I would really love to get some reccomendations as to how to go about going to school so I can do this the right way… I too am with an MLM company, but considermyself to be the exception here and would really like to pursue school and find out for myself the correct and SAFE way to use oils. This has become a passion i never knew I had. Lucas would you be willing to chat with me about schools? I’m assuming that you may not have heard of a new oil company, launched Sept 25, 2014. This is the first and only “Clinical grade” essential oil company in USA. Therapeutic grade has no science behind it, it’s a marketing term only. Clinical grade has to have a lot of science, more testing, higher standards than anything set before in American essential oil companies. The website I provided has this information & explains it in more detail. This company also releases all the tests on each bottle-batch (bottle has batch # on bottom) to everyone. No more taking a companies word on their purity, no more taking one man or one companies word on quality of their oils. Yes they are also 3rd party tested. Zero tolerance, No fails allowed. I’d like to invite you to please look at this company. I also appreciate your information about Clinical Aromatherapist certification. I’ve taken 10 certification courses for essential oils, have used them intensively throughout our home for yrs. Now that Ameo has come, we only use these oils, and yes we take them internally. We follow the guildelines of Dr Daniel Penoel (French physician practicing with essential oils for 40 yrs), and I also like Dr Scott Johnson who’s also an Evidence Based backed by research in his book. Surviving When Modern Medicine Fails (Dr Johnson). As someone who is very new to essential oil use (only a few months), it has been SO confusing (and disturbing!) trying to research safety issues. I really appreciate your articles and the time and effort you have put in to researching and providing clear information. I’ve been reading so many different articles on each side of the ingest/not to ingest ‘battle’, and have been unable to figure out who to trust. As a librarian, I can tell pretty easily when someone is just b.s.-ing their way to a point. There is so much trash out there calling itself research! The conclusion I came to last night, was that I need to trust my instincts, which are telling me to be more careful with the oils than I have been up to this point. Thanks again for your timely and helpful insights! I look forward to reading more of them. This is only half the truth. 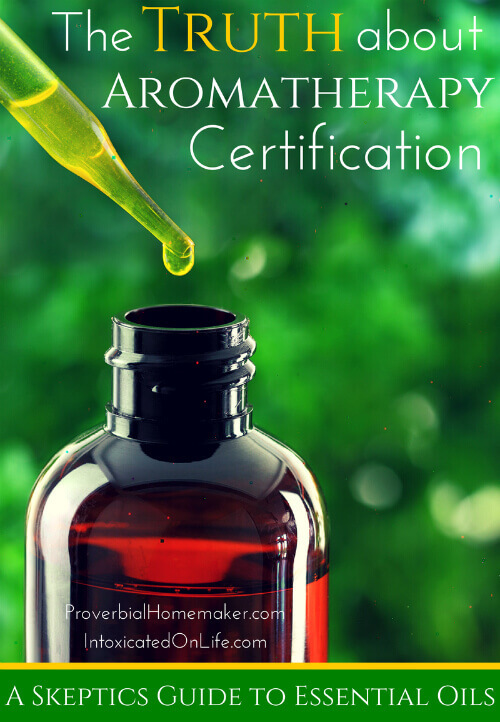 There are many ways to become “certified” as an aromatherapist, ranging from completing a Young Living training weekend all the way up through some reasonably thorough programs. But a REGISTERED aromatherapist has completed a solid amount of training. In order to become a registered aromatherapist, one must complete a program of at least 200 hours that meets certain requirements, AND sit for the Examination. To maintain this registration, continuing education is required. I’m working toward a full college DEGREE that’s about 1/3 nutrition (and other holistic health methods), 1/3 herbalism, and 1/3 aromatherapy. We’re talking about study of anatomy & physiology, the chemistry of essential oils, etc. Because registration as an aromatherapist requires those elements. So if someone who ought to be knowledgeable is putting down the idea of certification and NOT offering this information, I would personally be very suspicious of his motives in withholding half the truth. May. Ask where you are getting your education? I may be interested. Thank you. I see what you’re saying. I mentioned the range of training experiences that would prompt someone claim that they are a certified aromatherapist as well as the 200 hours of training etc that the more advanced institutions provide. 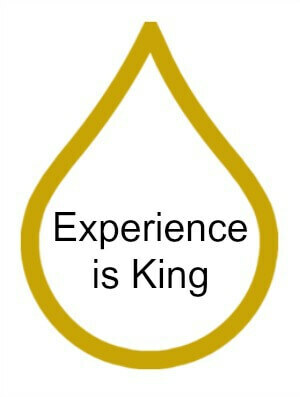 I still believe that the concluding statements hold: certification is good, but experience is king. In my thinking, certification is like an associates degree in aromatherapy. I understand it’s the highest level available and it is usually paired with other studies, but here’s the thing: would I rather trust someone who has an associates degree in business to advise me on the health and direction of my company, or someone who is an experienced and successful business person? My point was only that blindly trusting someone JUST because they are certified (which people actually do) is a poor choice, even with the 200 hours plus examinations. It’s common sense. That said, those aromatherapists are getting training and experience that i think is significantly more valuable and trustworthy than some class given by an MLM. I think people are starting to see that more and more. I think you’re still missing my primary point, actually. One CANNOT just complete “some training by an MLM company” and become a registered aromatherapist. There is no comparison. It is highly misleading to talk about the meaninglessness of “certification” and not contrast it with “registration.” They’re two different things. If I’ve used EO’s for 20 years but never happened to work with anyone who has epilepsy, and not done any book study, I might recommend for an epileptic something that induces seizures — because I don’t know what to avoid and why. Book learning and experiential training go hand-in-hand. Your beef seems to be that 1) I said certification is meaningless (I didn’t) 2) I didn’t talk about registration (you’re right – there’s info missing there) 3) I’ve said or implied that actual certification (and registration) are comparable to MLM training (I didn’t and wouldn’t) and 3) I’ve implied that experience is the only thing that matters (I didn’t say that and didn’t intend to imply that, but I see how it might be taken that way). I will look more into registration. I know I mentioned MLMs in the beginning of the post but this article isn’t really about MLMs. I’ve covered that elsewhere. The whole start of this article was my curiosity on the text that mosts posts have saying “consult a certified aromatherapist.” I haven’t met any MLM-trained folks who say they are a certified aromatherapist. They use different language, although it’s similar and it seems like sometimes people think it implies the same qualifications. From the research I did on the schools that offer more advanced education for aromatherapy, certification usually required a 200-ish hour course of study and ongoing education, which is where I thought registration fell into. Perhaps I was wrong. I also think I could add to the article to make the distinction more clear on the levels of aromatherapy education available. I’ll see if I can do that. I didn’t say that experience is the only thing that matters. I said that people should not put their trust in a source whose only claim to authority is a class or a 200-hour course in aromatherapy. I still think that’s true. I personally put more weight on experience, but of course I don’t think it’s infallible. That also seems like a point common sense. Perhaps I can add clarification on that as well. I actually have to disagree with you when you say the title doesn’t hold much weight. Depending on where you go, the title holds a lot of weight. I am taking a clinical master aromatherapy program that is 700 hours. I have to profile 120 oils, do 20 case studies, and learn all the anatomy and physiology of the body over again. It breaks down information on the chemical constituents such as esters, alcohols, terpenes, etc. It also explains in depth many other things. This is more than just what the “average consumer” knows by far. Every around thinks that just because a company told them it is ok, that it’s ok. And so many people use oils in the wrong manner I have realized especially after taking this class. You need to dig further into things instead of just going by what people tell you is true. You obviously didn’t research far enough into the class offered for aromatherapy. Interesting info. Can I ask where you are studying? I concur that experience is the ultimate guide to enlightenment and is the case with any career, I am currently a student at a school (as I have also done my research) that is registered through NAHA. I would like to offer some clarity, the school I have chosen offers 3 courses 1. Aromatherapy 101, this course offers 170 hours of education towards your 200 prerequisite hours for the NAHA membership for professional acknowledgement. 2. The massage portion constitutes for 50 hours which in turn offers eligibility for the 200 prerequisite hours for the NAHA membership for professional acknowledgement (This is in now way satisfactory to claim professional status, it is in turn sufficient for sales and to begin a career as a aroma masseuse.) 3. Clinical Aromatherapy 201 offers an additional 440 hours of training and ties in the biochemistry and the anatomy along side of the additional essential oils and business sense, you must complete 30 case studies and write a thesis whilst completing the course material (this is absolutely satisfactory to claim professional status, as anyone who wishes to be a Clinical Aromatherapist will not stop learning or studying.) I am a Chartered Herbalist C.H. and soon to be a Registered Aromatherapist R.A. and will continue my studies for many years to come. This is no a whim or a passing fancy for me this is a career choice one that I take seriously one that I sincerely hope that everyone who enters this field of education takes seriously. For those who treat it as a whim or a passing fancy and are not driven by compassion or burning passion to help educate and be the best possible version of your self, you are reinforcing the skepticism through the lack a lac of competence. 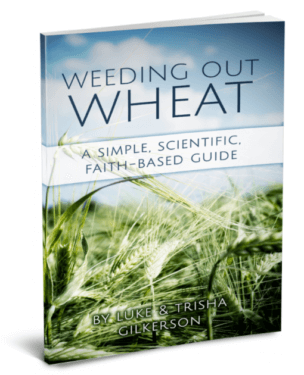 This is a craft an art, you are manipulating and unlocking bio-mechanisms on a cellular level assisting tissues to reform and to assimilate in a manner that is complementary to the organism host. I think there should be 3 categories 1. Registered Aromatherapist, this would entail aroma massage, emotional/psychological therapies. (i.e. 200 hour prerequisite) 2. Registered Clinical Aromatherapist, this would entail every other aspect of cellular manipulation assistance. ( 600+ hours prerequisite) number 2 would be my professional preference. 3. Registered Medicinal Aromatherapist (1200-2000 hours prerequisite) This would be the avenue of internal oral use of essential oils weather through foods or by implicating an addition to a internal therapy by means of medicinal herbal teas. (This method is not very practical as you would need to be a Naturopathic Doctor in order to obtain insurance coverage). I support the NAHA but I would like to see some changes (as mentioned above). I wish you all the very best, with your studies and encourage you to be confident and humble you are responsible for each person whom entrusts you with their lives and their health. Never stop learning. Dani – where did you go? Front Range Community College? I am a massage therapist with 12 hours of (SAFE) aromatherapy training for massage. We learned about proper dilution and contraindications. I would like to learn more about aromatherapy but have no desire to become a clinical aromatherapist or make all the stuff. I would just like the NAHA Level 1 Certification so I’m having a heck of a time finding a program to fit my needs. I see this article is a tad old, but just stumbling upon it today and I feel I should comment on it. I have seem some certified courses turn out much less than that. But it is NAHA as well as AIA that sets the standard for education in Level I, Level II, and Level III tiers. It is not required that you take the ARC exam to become an RA after going through your level II program, but it sure helps. On the flip side, I know a large number of aromatherapists that have triple the schooling I have, and have never taken the RA exam. I guess my issue is this, anyone seeking the advice of an aromatherapist should ask about their education as well as their experience as you would any other “professional” in the wellness/medical field. Many of the certified aromatherapists are swimming through a vast sea of misinformation being shared by reps online on a daily basis in an attempt to cut down on injuries and sensitizations. It is exhausting to say the least. To cut on anyone who is making huge attempts and spending thousands of dollars in an effort to be able to help themselves, their families, and their clients to find wellness is well, irresponsible and inappropriate. For an essential oils company to also discredit those receiving education speaks volumes about that company (and not in a good way). I purchase oils from a variety of companies, (no MLM’s) and have sat in the same room as the owners receiving continued education. They applaud anyone making that effort, because with the mlm reps we now have thousands of people claiming to be educated, and we both know the enormous issues and liabilities that this brings. Instead of cutting on those working to educate themselves properly, we should be encouraging them. “I guess my issue is this, anyone seeking the advice of an aromatherapist should ask about their education as well as their experience as you would any other “professional” in the wellness/medical field.” That’s a great point. I also think that perhaps part of the problem, at least from my perspective as a consumer, is that “aromatherapist” is used a little too loosely and so it is not obvious who has spent thousands and been educated much vs. who took a few classes. I didn’t mean to cut on anyone trying to help themselves and others and becoming more educated, although I can see how it might have come across that way. Rather, I was sharing my experience as a consumer trying to navigate the waters of aromatherapy and certification to find out who I would choose to trust. I think it would be good for me to spend some time contacting some of the aromatherapists who have come forward on this post and get their perspective on it. What you have done is begin a real discussion about what consumer’s interested in using essential oils are thinking and how difficult it is to know what is reliable information and what is not. Thank you so much! Your blog and this thread is helping me to see the hurdles we face as Aromatherapist’s. I am passionate about aromatherapy and have done the hard work of researching to find the right school and program for me. I received my AAS in CAM with a specialization in Aromatherapy from the American College of Healthcare Sciences and I currently am studying for my Registered Aromatherapist (RA) exam to be considered as an RA with the Aromatherapy Registration Council. This field is in its infancy. Oils have been distilled and used for thousands of years but the practice of researching essential oils for therapeutic use was just barely begun in the late 1930’s with a book written by Rene-Maurice Gattefosse’. As a young chemist working in his family’s perfume business he discovered, after a lab explosion, lavender essential oil kept him from receiving serious third degree burns when he plunged his injured hands into a nearby vat. This prompted him to research and explore essential oils for other therapeutic uses. His work began the science and research we are building on today in the Aromatherapy field and, as with all sciences, we will continue to discover and learn more from essential oils. If you or anyone has questions I would be open to answering. Thank you for having a place for a frank discussion on the topic and for being open and honest. As someone who would like to learn much more about Essential Oils I have been in search of an reputable and an accredited school to become a certified aromatherapist. I think it’s important to respect the potency and capabilities of Essential Oils, I’m not looking to just spritz it through out my home for it’s soothing effect, I truly want to learn everything I can and it’s use. I am not interested in it for a any MLMS side business opportunity. It’s also very important to me that it be in it’s purest form. So how it is grown and where I get my essential oils from is extremely important to me. I disagree that you feel certification (not through a MLM, or Company just trying to push their product) is not important. Certification along with experience is important, especially when one is makaing recommendations for health purposes. I personally would not ever go to anyone for holistic purposes who is not a certified aromatherapist by an accredited or highly reputable course. Interesting that no one on here as answered the question by a few about where they are taking their courses at??? Would you please answer the question. The point was that I believe experience holds more weight than certification – not that it isn’t useful or even important. I think educating ourselves in the use of essential oils is very important and courses and classes can be helpful in that. I believe the questions about where people were taking their courses were directed at specific commenters on this post. It would be interesting to find out! Jeanne Rose is the guru, an experience overrides a standard certification. Who makes the standard? I have looked into Aromahead and I think I will go with them. You could also contact Lea Harris about schools. She has a page on Facebook, using essential oils safely. I’m currently doing a home study course through reiki school of venice, florida. If you go to NAHA website, they will have a lost of schools approved by then to be able to complete the courses and take the national test to become registered, if I pass. I have to complete level 1 before I can begin level 2 and altogether I will have completed 235 hours to make me eligible to take the test. From there I can become a member of the NAHA and have a business that they will cover part of my liability insurance and so forth. The classes I took were through aroma apothecary in Austin Texas. It was a 2 year online course for certification, and I will be taking the courses next year to become licensed. Forgive the lack of capitalization, I am using a tiny old cell phone. 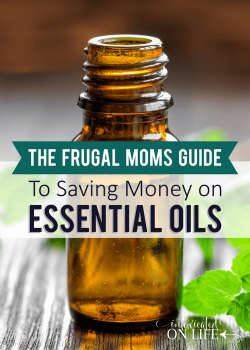 As I am newly interested in essential oils, I found this article to be a wonderful resource. Thank you so very much for posting it. I feel that “education” is very important, but experience is king. No one in their right mind would volunteer to be the first open heart surgery patient of a new Medical school graduate. That’s exactly why doctors are require to do internships and residencies. You are saying that a certification in aromatherapy isn’t all that big of a deal yet your expert is more highly educated in essential oils than an aromatherapist. His education is by far superior. How many chemists are you going to find to lead an essential oil organization? It would seem the knowledge base starts at the essential oil chemist then the certified (by NAHA or other organization) aromatherapist then the casual oil seller/user. They all have a level of knowledge that is good depending on the need of the individual. Honesty and integrity have nothing to do with level of education. That is a personal thing. Hi Terri! My view on certification changed a while ago and I regret not having updated this post earlier. I have updated it now. I can say I’m glad to know the company I buy from now has an in-house chemist I can talk to as well. Thank you for your comments! I know I will not become an experienced aromatherapist as soon as i graduate.. it will take years to mature and gain experience…, but somebody has to BELIEVE in me and my humble beginning so I can continue to grow and build my practical knowledge helping real people and seeing real results. I am currently looking at the courses at American College of Healthcare Sciences. Please tell me if any of you would recommend this establishment. I am new to essential oils and need help with direction. I truly want to educate myself and others in the safety of oils and their uses. I am currently enrolled in the Holistic Health program at Front Range Community College in Fort Collins Colorado and I am looking into sources at the American College of Healthcare Sciences. They are accredited, to me that is the most important aspect of looking into a school, are they accredited and are they recognized by their governing body organization. American college of healthcare sciences goes farther in aromatherapy education than any others I have looked into. Front range is great for getting a base of information and getting your initial certification, however there is so much more to learn. And as far as experenice verses education, I have spoken to medical practitioners at cancer treatment centers of america who have had to add aromatherapy education to their treatments because so many people have been using essential oils for 20plus years internally and now have liver damage similar to what an alcoholic would have and have never drank a day in their lives. So experience without education is not such a good thing. Education and expereince is way better. Education and experinence in that order too. They have a great program. I would encourage you to get your education and training through ACHS. Coming into this discussion very late. I wonder if by this time anyone can recommend a good course or school for clinical aromatherapy. I am a licensed physician by profession and I’ve used essential oils for years but mainly for scenting my home more than anything. There is some evidence and research in peer-reviewed journals, studies with sound protocols, that discredit or confirm some of the benefits of essential oils. It would be interesting to learn more about aromatherapy based on sound science and not just anecdotes repeated in different ways. I’m glad to see some comments about going through the process of becoming an aromatherapist. I’ve just started my journey and after reading your article it left me feeling useless. If my education means nothing then what’s the point? I’m working to become a registered aromatherapist. With my chosen school if you want to earn a Master of Science in Aromatherapy, you have to have a Bachelor’s degree. You are also forgetting about the Alliance of International Aromatherapist. If one were to complete the MS program with this school they would surpass the AIA level III training requirements. I honestly would prefer someone who had a formal education over someone who hasn’t. Yes, experience is great, but don’t you think the person with the formal education also has experience? I highly doubt they are going through the classes and not using the oils. Hi Michelle! My view on certification changed a while ago and I regret not having updated this post earlier. I do think it’s valuable. I have updated it now. Thank you for your comments! Thank you for this great post. I have been researching aromatherapy online for the past couple of months and couldn’t find one source to be the most credible. There seems to be tons of scattered information on the web and now I think my best bet is to find someone who has experience in the field and learn from them one on one. I don’t think buying online courses are the way to go because they all differ so much. It does matter if you have set on to educate yourself! I am not going to go to my grandma who has experience with 5 kids being sick over a doctor or has 10 years EDUCATION to say what’s wrong with my kid. That being said there are lots of ways to complete being a certified aromatherapist and become registered and which by thay you can have insurance and claim what you think is best for what you plan on selling or promoting. To say that you work for a mlm company and as an advocate that you know more because physically working with them is absurd! With the minimum of 200+ hours after being registered you DO have to continue your learning to keep your certification active! So regardless. They do encounter far more hours than the minimum! I’m currently waiting for my books APPROVED by the naha to do a home study because 1. It is cheaper for me on a budget 2. I am a sahm so I can literally do this all at home. 3. No time limit as to when I have to finish so I’m not rushing. Both level 1 and 2 and not to mention I have to do real cade studies. Write research papers. Make blends. Read the full anatomy and physiology book on my own. So yeah.y knowledge after that compared to one of just an advocate whose getting paid to sell oil would be greater! By education not just by saying! Hi Chiane! My view on certification changed a while ago and I regret not having updated this post earlier. I have updated it now. Thank you for your comments! I just found this… so many interesting comments! I started my aromatherapy training about 20 years ago, took several Level 1 & Level 2 programs, then went on to take several courses at the Pacific Institute of Aromatherapy. Wrote the ARC exam and got Registered. Then opened my school in Windsor, Ontario. I am still teaching (but have downsized greatly) and I’m now just teaching out of my home. My aromatherapy & essential oil program is 425 hours long. No matter how much I learn, I think there’s still more out there, especially where the oils are concerned. I love aromatherapy and think my journey will never end, which is great. I am a consultant with a particular MLM company, and was NOT at all comfortable making claims of any sort. I made it my personal mission to gain an education (certification through a reputable college) and gain experience. I believe they go hand in hand. There are many ‘it worked for me’ remedies, blends and suggestions that can be found on pinterest and such, but if I am personally going to claim, recommend or suggest a particular use to someone I am certainly going to have some knowledge to back it up and not just because my MLM company or Pinterest says so. And just because it may have worked for someone doesn’t mean it will work for the next person. so apparently there are different TYPE of schools? Brittish, French, etc…what’s ther deal with that? I was kind of annoyed like some of these others that read the comments and seeing people ask who they were going through for their certification, and about only one person answered that after the comment was made about no one answering the question. I too am considering this, and would like to know who is being used, and if it’s what they have expected and have found it useful, and worth the money, etc. So I was wondering, since I cannot afford a $2000 program to get level 1 aromatherapy certified and then who knows how much more for the level 2 and 3 training…would there be a way to self-teach with the proper books and then take the ARC for registration? Or could I self-teach myself the basics of level 1 and then pay for level 2 training? I want to learn the way I am used to learning…by books and practical application but I find it difficult to come up with that kind of money for the basics…I would be more willing to pay the cost for the advanced learning of levels 2 & 3. Lee, you need 200 hours to quality for ARC test. Oh well, too bad. If I take a course in aromatherapy it’s gonna be just for my own benefit and for my loved ones, family, and friends, and screw everyone else who wouldn’t trust an aromatherapist who didn’t spend nearly a decade in college racking up over 100 thousand dollars in debt to be called a “professional” or “licensed” doctor … because in my opinion, if a person has the know-how and is in good tune with the natural environment to be able to heal themselves and others, that is all that’s important. It’s not supposed to be about competition, but about healing, and that may be what’s pathetically wrong with this country! It’s all about the time and money spent and not about the whole person and what they are capable of offering. I can only afford an online course and be done in six months to start earning a living to pay my bills, and that should not disqualify me for not having learned enough to be able to help others. Besides, since when does a licensed professional (medical doctor) always “help and heal” a person? I’ve got many TRUE stories to tell about that! Totally agree with you …. I felt kinda kicked down after all my hours and hours of coursework to read that being sent to certified aromatherapist could be questionable. I started like you to calm myself down as i used to be a bit stressy lol … but then took it further and learnt massage etc etc. and yes … DR will cover up pain with medication .. but an Aromatherapist with go to the cause of the pain. I too found it very annoying that people wouldnt share the info on what schools they are attending. Why so miserly? I’m a sahm, and have recently discovered EOs. Was also thinking about obtaining an online certificate (maybe clinical) but there is a truckload of information, it gets overwhelming. recommendations would have been good. Also, the commenters said that in order to keep one’s certification, one has to continuously keep getting more certified, what exactly does that mean? how does one do that? do they revoke one’s certification if one doesn’t do that? I’m not sure it will be particularly useful as I’m based in Canada, but I took my training by correspondence with Joyessence Aromatherapy in Guelph. The reason I chose a correspondence course was due to the fact that there seemed to be little in the way of educational schools in my area. It is a 400 hour course, plus the body work, and 30 case studies. They are approved by the Canadian Federation of Aromatherapist, NAHA, and the BCAOA. Would I say I’m the best darn professional certified aromatherapist on the planet, by no means. I’m continuing my eduction daily. I seek out what “education” I can find, be it formal or informal. Hope people will find it useful. Cheers. I’m also going through Joyessence – I debated Aromahead but ultimately wanted to be CFA certified as I’m in Canada – she has international students from all over as well. Did you like the course? What you did not like? Hello, I have a love/hate relationship with this article, but am so glad you addressed this issue. I am a Level 1 Clinical Aromatherapist and continue my education to soon take the National exam. I study hard to make sure that my clients are safe using essential oils. We learn not only safety, but there are EOs with precautions. EOs NOT to use with pregnancy, infants, children, high/low blood pressure, cancer and more. First rule of thumb, if someone tells you to ingest essential oils on your own, without the supervision of a medical doctor, move on. This is extremely hazardous. The use of essential oils for therapeutic purposes requires education and knowledge to ensure safety and well-being of the individual who uses them. Professional training offers important information that can help prevent the misuse of oils and discover the appropriate oils to treat ailments. There is a wide range of mixed and misguided information online, along with unsafe recommendations from those that have not received professional training. If an individual is using essential oils for their health it is important that they take the time to learn how to use them safely and to enhance their benefits. I have talked to so many people that take advice from EO multi-level marketing reps, that have not had professional training, and it scares and angers me that this is happening. Based on MLM rep recommendations, adults are ingesting essential oils and giving them to their children, without the supervision of a professional, thinking that it’s OK to do. This is extremely harmful. Individuals are looking for a quick fix or cure and don’t seem to understand that essential oils have precautions. Because EOs are natural and come from a plant/tree/etc. I think it’s hard for a layman to understand how concentrated the oils are and how dangerous they can be is misused. EOs are not like adding a cinnamon stick to their cider. If pure, undiluted cinnamon EO sits on their skin, even for a second, it can irritate and even burn the skin (which unfortunately I have had this happen). I hate to imagine what would happen to the gums, tongue, mouth, throat, esophagus, stomach, etc., if pure undiluted cinnamon essential oil was ingested. You are correct, if using EOs please do your research, but do so through an approved organization by NAHA.org. 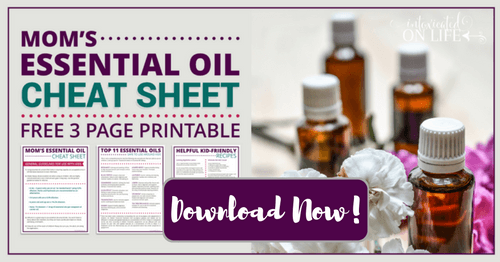 There are so many reputable educators out there that offer free webinars to help you use essential oils safely and effectively. Here are some of the schools I have taken courses from 1. The Apothecary Healing Arts Academy (which is very reasonably priced), 2. Aromahead Institute, and 3. The School for Aromatic Studies. I have a long way to go before I can become a licensed aromatherapist, but it’s empowering and well worth the journey! i have a question for you will any certain essential oils affect the birth control patch? The OP missed something in her research. The student can take it one step further and take the exam to become designated as Registered Aromatherapist (RA). The difference between someone who gets an HR degree and someone who has PHR designation. How do you become experienced if you don’t start? I think that newly certified people should be given a chance.